How to carry out a drain inspection in Lancaster? Anybody that owns a piece of property has to be concerned about things like cleaning out drains and the condition of the main sewer lines that are connected to their home. In fact, a lot of homeowners undoubtedly worried about how to carry out a drain inspection in Lancaster. This is understandable, largely because it is extremely difficult to deal with these types of problems once an issue has been allowed to go on for too long. It is much easier to have that drain inspected and know up front what any potential problems are before it actually becomes obvious to the homeowner. With that being said, how does a homeowner carry out these types of inspections? You might be wondering about this question yourself because you are thinking of selling your home or buying a new home. Perhaps what you really want to do is stay in your home, yet make sure that everything is in good working condition. It is easy to forget about things like drains and sewer lines because you don’t really see them. However, when a problem does occur, it usually occurs in rather spectacular fashion and it can end up costing you a lot of time and money as the homeowner. It is often a lot less troublesome, not to mention far more economical, to deal with the problem long before anything major really happens. The best thing that you can do if you want to carry out a drain inspection is to call a company that is certified in this type of work, someone that has both the experience and the knowledge to do it correctly. You can easily find these companies by looking online or, if you like doing things according to the old school method, you can look in the phone book. Either way, it is imperative that you find a company that knows exactly what they are doing and is capable of getting the job done in a minimum amount of time without doing a lot of damage to your property. Now that you have that information, it is time to get down to explaining the business of doing the sewer & drain inspections themselves. The easiest way to conduct these types of inspections is with the use of a camera. Most professional companies have these tools at their disposal and they make a world of difference. There is only so much inspection that can occur with the naked eye, as it is impossible to see far enough into a drain to understand what types of problems might be going on there unless they are immediately visible right at the surface. These small cameras can be fed down into the drains and then provide real-time information to the professionals who are operating them. This in turn provides you with the knowledge that you need as a homeowner to understand exactly what is going on deep inside your drains, not to mention your sewer lines. The best thing about these types of drain inspections is that they don’t take very long to conduct and they require no damage to your property whatsoever. In addition, you have the opportunity of finding out exactly what is going on because it is easier to get an up-close view of the drain in order to examine it for any problems that might not really be visible at first glance. In other words, it gives you the peace of mind that you need. You know that the drains are in good condition or you know exactly what the problem is and what needs to be done to remedy the situation. Either way, having this knowledge is the most important step in the entire process because it allows you to move forward with a greater degree of confidence as a homeowner. In reality, this is something that can be carried out in a single afternoon with only one or two individuals present. When you consider how easy it is to accomplish this task, it becomes readily apparent how important it is to have your drains inspected. Plumbing problems have a way of hiding themselves until it is almost too late. By the time you notice a problem with the naked eye, you could be in over your head, so to speak. Drain inspections are an ideal way to avoid exactly those types of problems, saving you both time and money, not to mention a great deal of frustration. https://thepipeshark.com/wp-content/uploads/2017/11/logo-thepipeshark-300x67.png 0 0 PSAdmin https://thepipeshark.com/wp-content/uploads/2017/11/logo-thepipeshark-300x67.png PSAdmin2017-03-28 23:33:442018-01-25 16:29:33How to carry out a drain inspection in Lancaster? 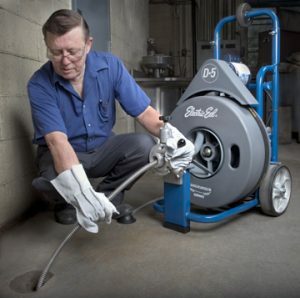 The Importance of Regular Drain Cleaning Service in Columbus. Whether you own commercial property or you own a house in Columbus, you should really be paying attention to your sewer drains. This area of the property that is often overlooked, but one of the most important. Drain lines help by carrying waste away and without out it, our lives would get turned upside down. This is why today we are going to talk about the benefits and importance of regular drain cleaning services. https://thepipeshark.com/wp-content/uploads/2017/11/logo-thepipeshark-300x67.png 0 0 PSAdmin https://thepipeshark.com/wp-content/uploads/2017/11/logo-thepipeshark-300x67.png PSAdmin2017-03-08 03:13:232018-01-25 16:27:54The Importance of Regular Drain Cleaning Service in Columbus. 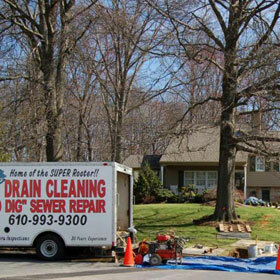 Why Choose Trenchless Sewer Repair & Relining in Columbus, IN? If you come from Columbus, IN, chances are your sewer line has had a problem. This is because the city is populated and this stresses the sewer lines. So what is the best solution when this important part of your home has a problem? 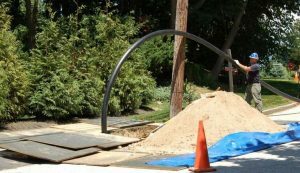 You can either choose the traditional method or the new trenchless method. Here is why you should only choose trenchless sewer repair and relining if you live in Columbus, IN. https://thepipeshark.com/wp-content/uploads/2017/11/logo-thepipeshark-300x67.png 0 0 PSAdmin https://thepipeshark.com/wp-content/uploads/2017/11/logo-thepipeshark-300x67.png PSAdmin2017-03-08 00:13:372017-03-08 00:13:37Why Choose Trenchless Sewer Repair & Relining in Columbus, IN? What is the best technology to clean Sewer and Drain Pipes in Lancaster? https://thepipeshark.com/wp-content/uploads/2017/11/logo-thepipeshark-300x67.png 0 0 PSAdmin https://thepipeshark.com/wp-content/uploads/2017/11/logo-thepipeshark-300x67.png PSAdmin2017-02-05 17:07:272017-02-05 17:07:27What is the best technology to clean Sewer and Drain Pipes in Lancaster?